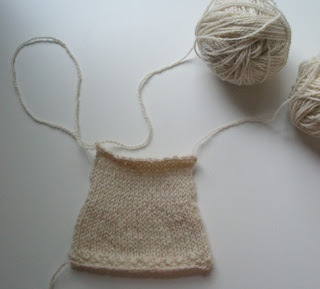 Well, it had to happen eventually: The Principles of Knitting was due back the library yesterday. I got home from the tearful parting and put myself right back on the hold list. If the new issue isn't released in the fall as planned, I expect I will cry or pay a fortune for a used copy of the original, or both. In fact I can guarantee both if I buy a used copy of the original, only the crying would come second. Not quite next-to-skin-able for other body parts - mine, at least - but definitely lovely for hands. No shrinkage, either. 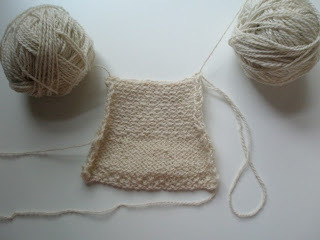 If anything I saw the teeniest bit of stretch, which I like in a mitten. Added bonus: the gauge turns out to be exactly right for the Spruce Mittens I adore in Robin Hansen's wonderful Favorite Mittens. These will be my favourite mittens. And they will be portable. 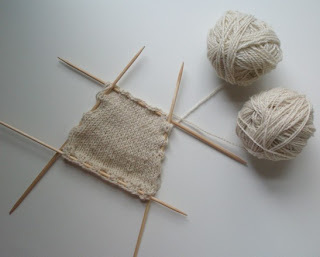 And I won't have to use any sock needles to make them, which means I can be knitting socks too. 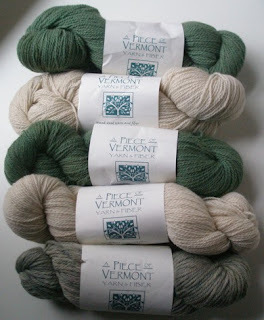 More to the point, I will be knitting things and not just swatches. It's about time!